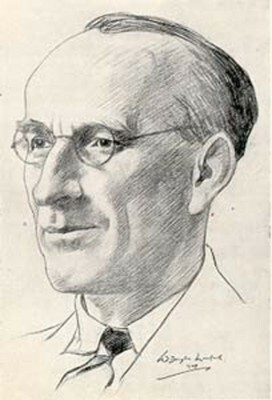 Alec Lawrence Macfie (1898-1980), Adam Smith Professor of Political Economy at the University from 1945 to 1958, is commemorated in the name of the Bonar-Macfie Chair of Political Economy. His collection of 19th and 20th century Scottish art was donated to the Hunterian Museum. Macfie was born in Glasgow, served in the First World War and then studied at the University. In 1930 he became lecturer in Political Economy and then held the Adam Smith Chair from 1945 until he retired in 1958. He was Dean of Faculties, 1974-1978 and was awarded an LLD in 1959. 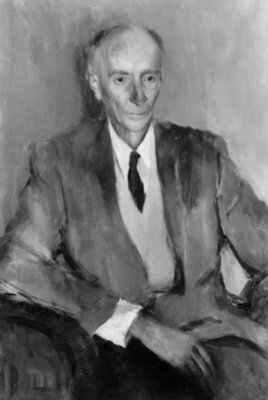 The James Bonar Chair of Economics was renamed the Bonar-Macfie Chair of Political Economy in 1990.